They thought the contents of this sarcophagus were mummified hawk remains. What it actually contained was a stillborn fetus. 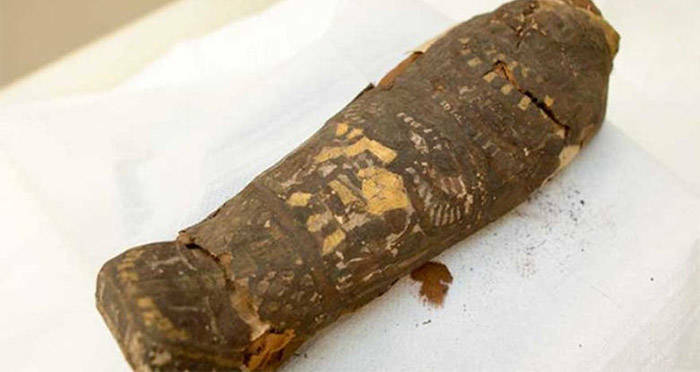 In the United Kingdom’s Maidstone Museum, there sits a tiny Egyptian mummy labeled as ‘EA 493 – Mummified Hawk Ptolemaic Period.’ Due to the size and the bird-like decorations, it was long thought to be an entombed hawk. But after recent micro-CT scans were done, researchers made a startling discovery. 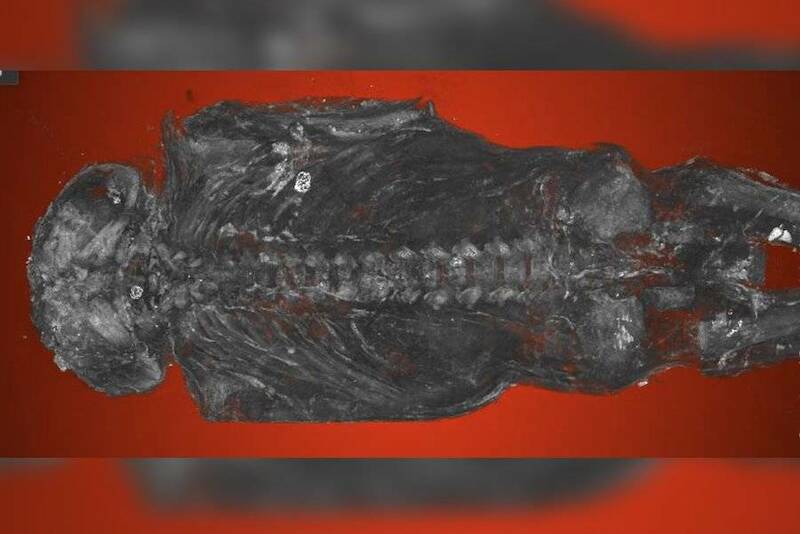 It was revealed that the misidentified sarcophagus actually contained a stillborn fetus between 23 and 28 weeks old with a severely malformed skull. The tomb, which is 2,100-years-old and given to a museum in 1925, was “virtually unwrapped” by a team of international, interdisciplinary scientists. Back in 2016, the museum decided to do a CT-scan of a female mummy as well as other animal mummies. That’s when the team realized the remains actually belonged to a human fetus. But because the CT scan lacked detail, the micro-CT scan (which is an extremely high-resolution scan) was conducted. The team then interpreted the images. The researchers said that even for 2,000 years ago, the findings would have been considered a family tragedy. Maidstone Museum UK/Nikon Metrology UKThe Egyptian sarcophagus. Though the imaged showed fully formed fingers and toes, the arches in the spine’s backbone hadn’t closed and the whole top part of the fetus’ skull wasn’t formed. “His ear bones are at the back of his head,” said Andrew Nelson, the bioarcheologist who led the examination. “It would have been a tragic moment for the family to lose their infant and to give birth to a very strange-looking fetus, not a normal-looking fetus at all. So this was a very special individual,” Nelson said. According to the researchers, the stillborn’s brain and skull didn’t develop properly because of a rare condition called anencephaly. A lack of folic acid, found in things like green vegetables, is a typical cause of anencephaly. The fetus is the first anencephalic mummy discovered since 1826, and the two are the only anencephalic mummies known to exist. The finding is significant because it provides clues to the ancient maternal diet. It also provides broader insight and further questions into how Egyptians lived at the time, namely what constituted mummification. 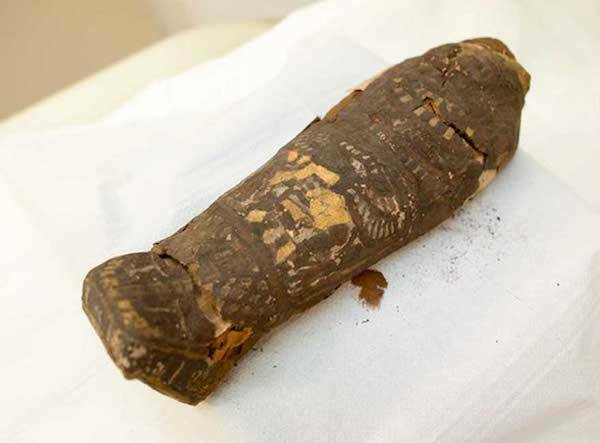 Previously, it was thought that only fetuses believed to have some “power” were mummified. Nelson recently presented the findings at the Extraordinary World Congress on Mummy Studies in the Canary Islands. Next read about “stuckie” the mummified dog who was stuck in a tree for over 50 years. Then read about the discovery of an previously unknown native population.